FitzGerald Murphy, Maggie. (2017). 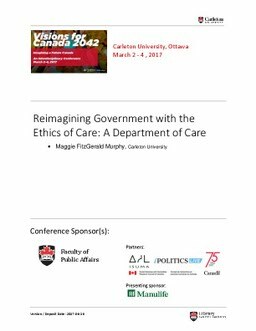 Reimagining Government with the Ethics of Care: A Department of Care. Presented at the Visions for Canada 2042: Imagining a Future Canada, Faculty of Public Affairs.